For a time, there was a lull in the focus on rare earth elements (REEs) as a strategic resource. Investments by rare earth mining companies in the U.S. and Australia, among others, increased and there was a renewed effort by states to compete against China’s near-monopoly hold on production of the strategic resource, critical for the manufacture of high-tech goods and defense technology, amongst other applications. Yet recent developments indicate that China’s dominance of the rare earth supply chain is set to strengthen. At the beginning of June, reports circulated that Molycorp, the only U.S. miner and processor of REEs, was preparing to file for bankruptcy protection. The odds of a Molycorp bankruptcy was put at more than 55 percent at the beginning of June by some market analysts, though others speculated that a “total wipe-out” was imminent for shareholders, which could see a faster flight of capital. Those fears were confirmed at the end of June when Molycorp filed for bankruptcy. Molycorp’s troubles come as Australia’s Lynas Corp, one of the largest non-Chinese rare earth companies, is also struggling. In March it warned it may not be able to repay lenders, the company’s auditor warning of “significant doubt” about the survival of the company. The hard times for these companies has come after a slump in rare earth prices driven by an oversupply to the REE market and by the increased efforts of manufacturers to find alternatives. In May, Beijing lifted its export tariffs on rare earths and set out to change its rare earth resource tax regime (see a detailed report here by Adamas Intelligence). According to Adamas Intelligence, the latter move could improve prices by up to 20-30 percent for some REEs. But that will come too late for many non-Chinese producers. As they tried to compete with state-backed mining companies, Molycorp, just like Lynas, needed a capital injection (and a bit of luck on the markets) to stay afloat. The move is not entirely unexpected. Just like the squeeze that state-owned oil companies have put on non-state oil companies in recent years, it has long been apparent that non-state backed rare earth companies would struggle. Without state-funding these companies would struggle to compete with state-backed Chinese firms or smaller state-owned enterprises such as Indian Rare Earths Ltd. In 2013 KPMG noted that low REE prices could force the closure of 75 percent of companies between 2012 and 2014. Its math wasn’t far off. China’s desire to maintain its near monopoly grip of the REE supply chain is clear. Beijing’s actions in the sector since 2010 have demonstrated that it is driven more by strategic motivations than economic ones. China’s 2010 REE export ban to Japan was driven by coercion and prompted by the detention of a Chinese fishing boat captain in disputed waters by Japanese authorities. It was purely an action of economic coercion. This action, which was condemned by the WTO, provoked the REE race. That race saw the world’s three biggest importers of REEs (the U.S., Japan, and the EU) launch an international dispute settlement case against China in the World Trade Organization in March 2012. It was the first time all three parties had collaborated in such an international dispute. In 2013, the U.S. Department of Defense began to stockpile heavy REEs and the Department of Energy established the Critical Materials Institute an innovation hub for critical materials such as REEs. Mines that were previously dormant in the U.S. and elsewhere were opened up and, despite highly volatile REE prices, new investment flooded in. 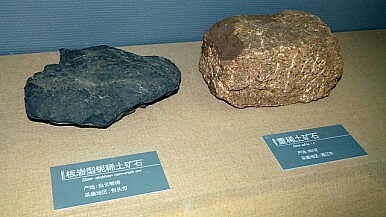 China released a White Paper in 2012 specifically on rare earth elements, the first of its kind. China’s dominant position looks set to strengthen. That will worry other Asian states, such as Japan, that are reliant on rare earth metals for their manufacturing sectors. It should also concern defense industries, which could become reliant on Chinese REEs for manufacturing and maintenance of defense technologies if alternatives can’t be found. Coercive policies could force more manufacturers to set up operations in China or, with supply chains dominated by Beijing, force closer ties between China and other manufacturers in Southeast and East Asia. While some lessons should have been learnt from China’s WTO reprimand, the rules-based system in East Asia is being challenged and recast. The demise of Molycorp and the languishing of Lynas will demonstrate to Beijing that playing a long-game of coercion is successful. That, in itself, is a worrying harbinger for China’s “low-intensity coercion” in the South China Sea. Today’s global economic realities are challenging the effectiveness of the WTO’s historical role as an arbiter of world trade.